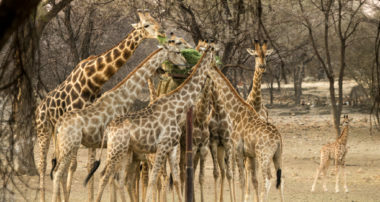 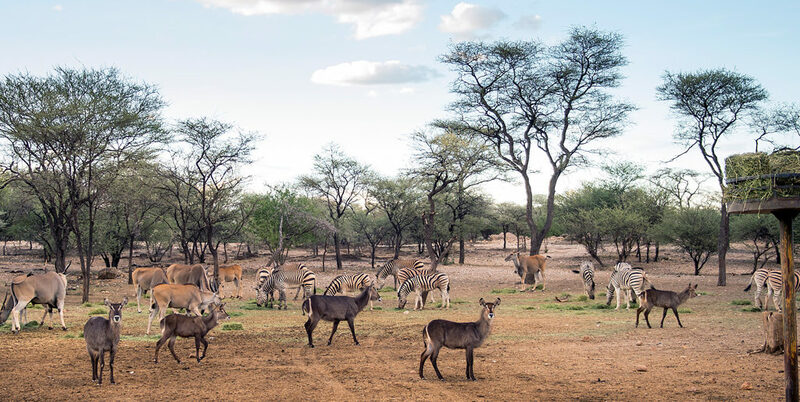 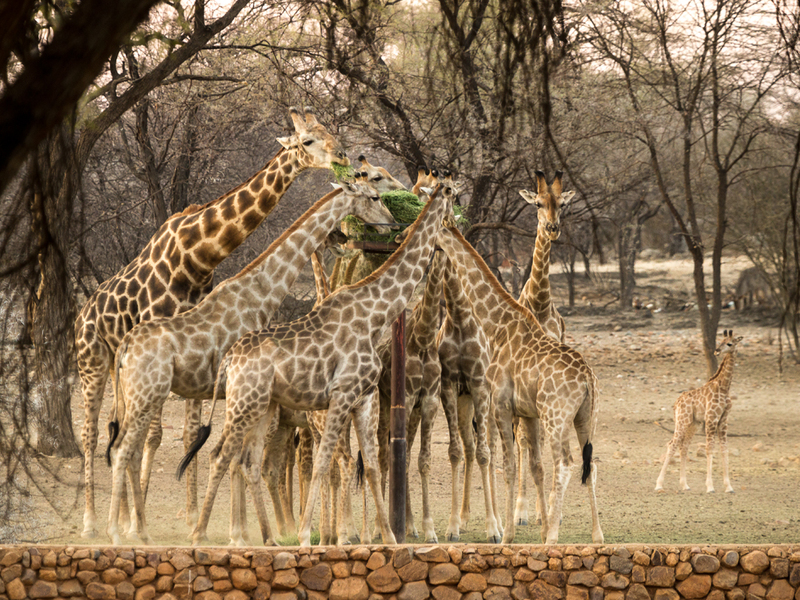 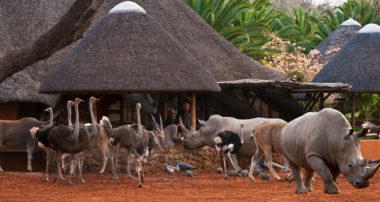 A highlight of the Omaruru Game Lodge is the every evening’s wildlife spectacle directly in front of the restaurant terrace / restaurant patio, when various wild animals gather around the feeding places. 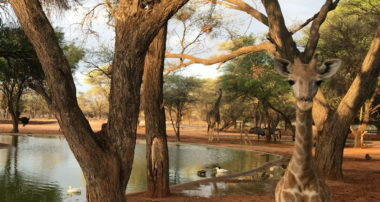 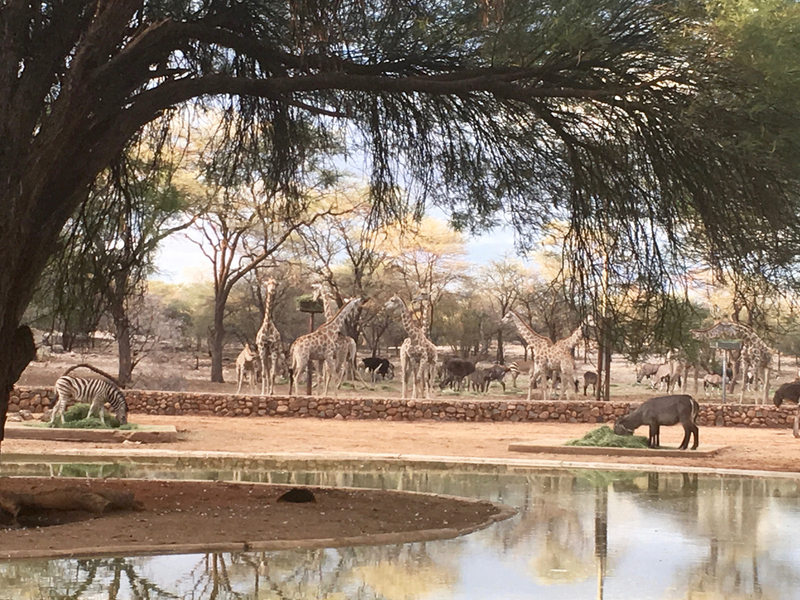 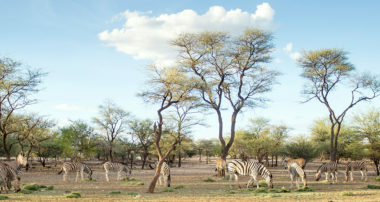 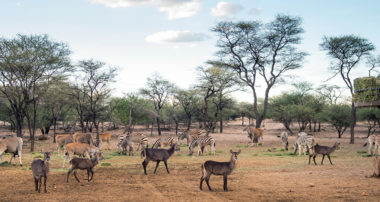 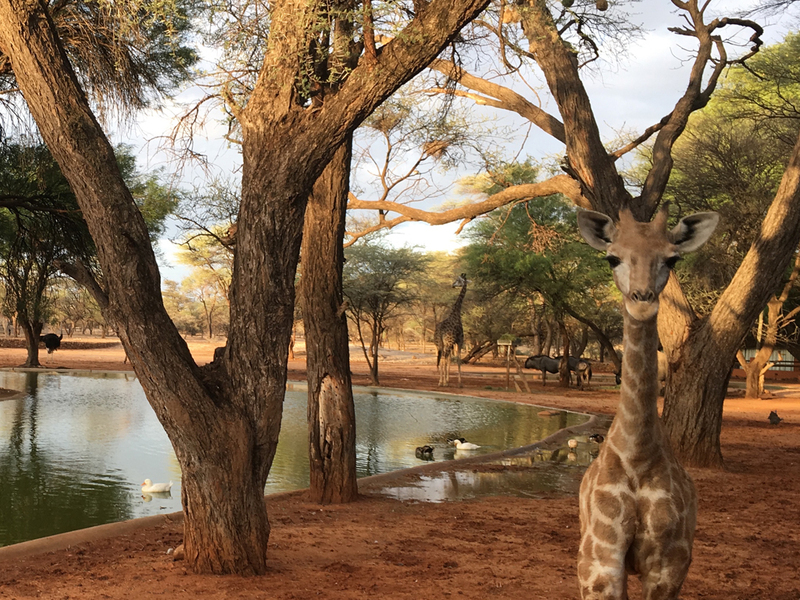 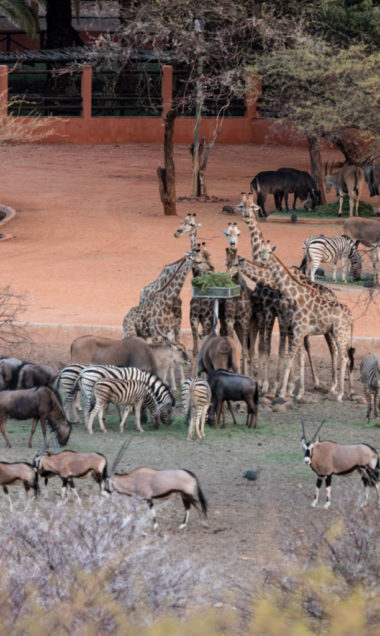 It is a unique and unforgettable view of the wildlife around the waterhole. 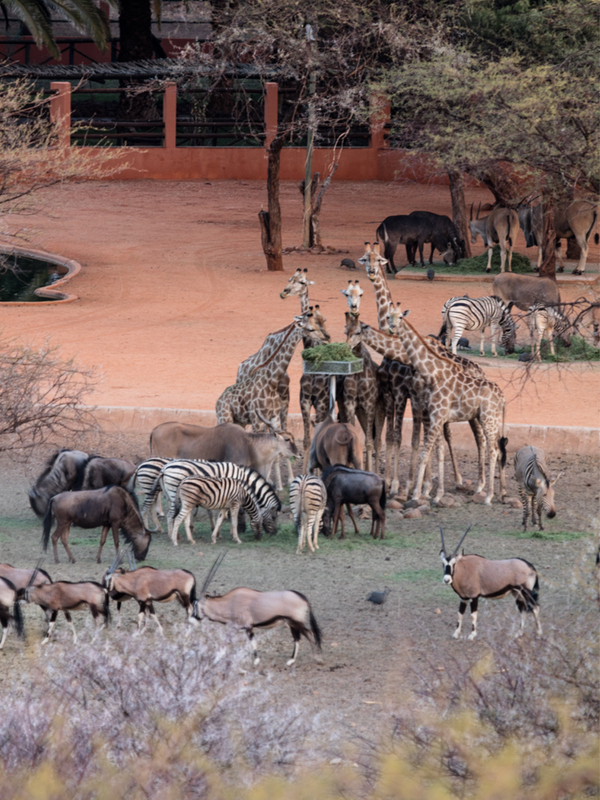 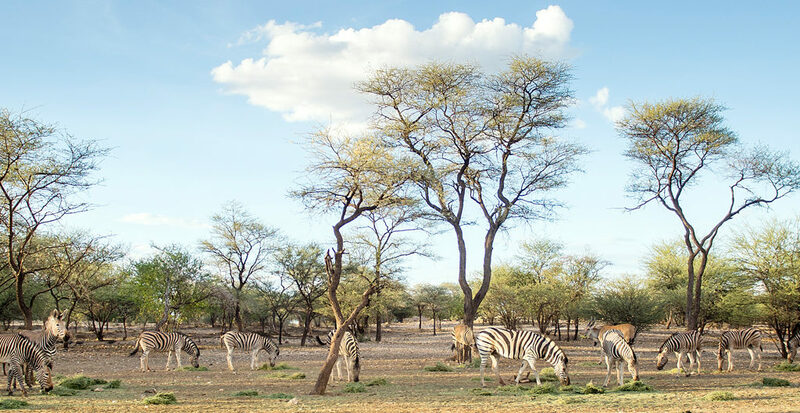 Surrounded by giraffes, zebras, rhinos, eland, gnus and so on the terrace is the ideal place to finish a day with a sundowner. 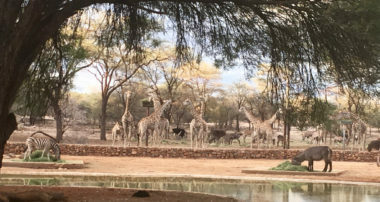 After dawn the area of the waterhole is illuminated so that visitors will be able to watch the game during dinner.